Where will we find the next generation of automotive restorers? It’s easy to picture an eager young apprentice learning at the knee of a grizzled old panel-beater, and indeed that does still happen. 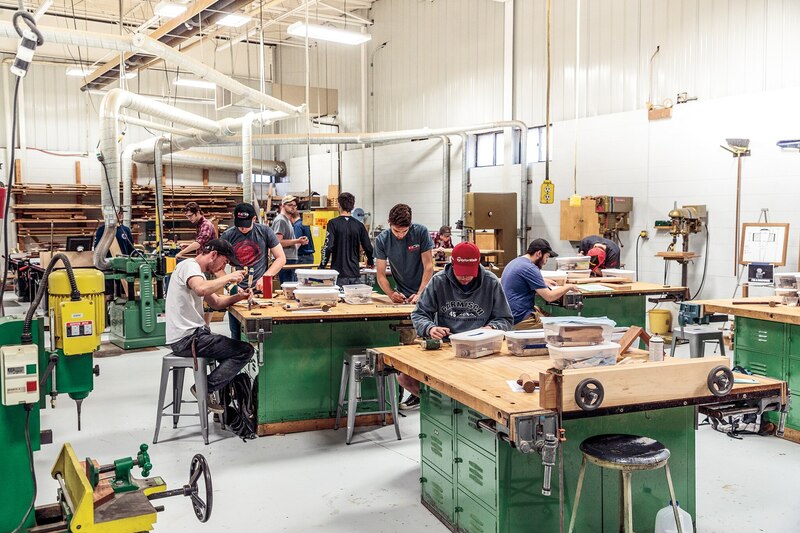 But an increasing number of these future artisans come from a small liberal arts college on the windswept Kansas plain—and many of them are eagerly snapped up by some of the country’s finest restoration shops. Industry pundits may bemoan the apparent lack of interest in cars among young people, but a quick drive through the McPherson College parking lot proves car culture is alive and well. And we’re not just talking about tuner cars and modern metal—you’ll find students driving classic Mopars, Model Ts, International Harvester pickups, and everything in between. McPherson students show an unexpected enthusiasm for nickel-era cars like this 1917 Willys-Knight. The holistic education they receive is essential in restoring such classics. 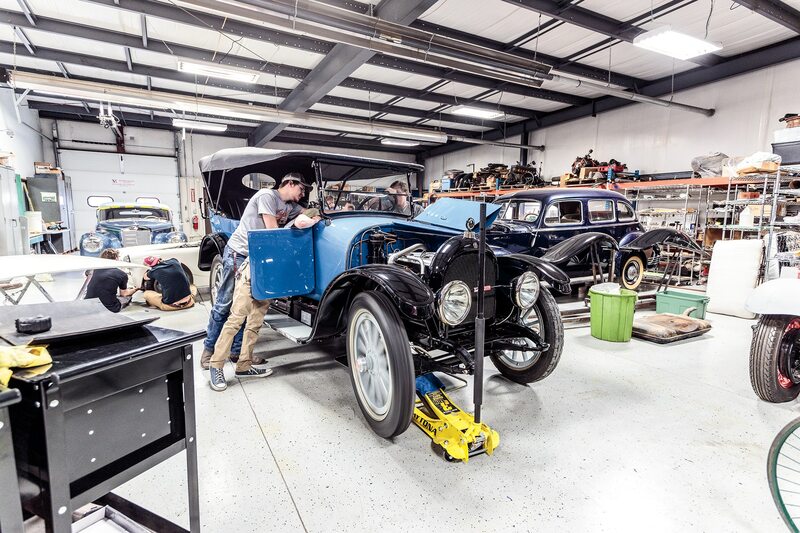 Among the jobs we saw in progress at this school an hour north of Wichita: a 1906 Cadillac engine on the rebuild bench, a 1917 Willys-Knight with a sleeve-valve engine being readied for the road, and a 1953 Mercedes-Benz 300S Cabriolet in the early stages of a restoration that will eventually take it to Pebble Beach. 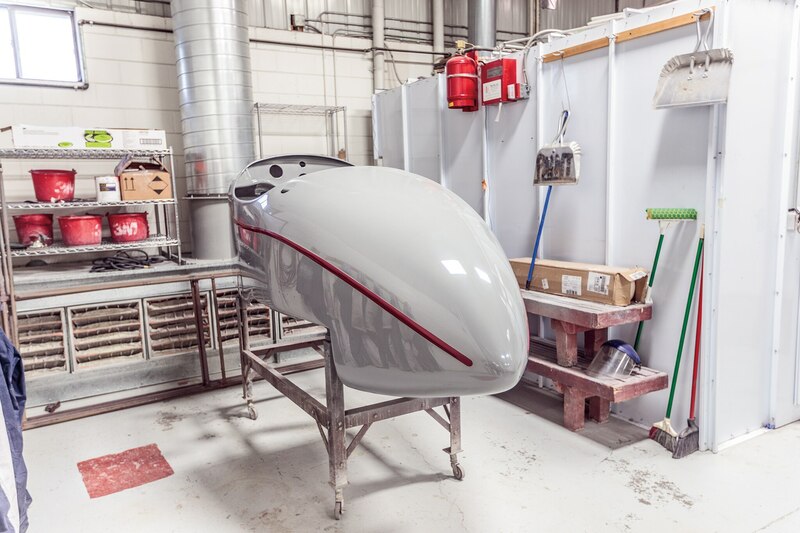 Our spring visit coincided with the presentation of senior projects, which included a 1971 Corvette chassis meticulously restored to National Corvette Restorers Society standards, right down to the factory-correct paint overspray on the bell housing. 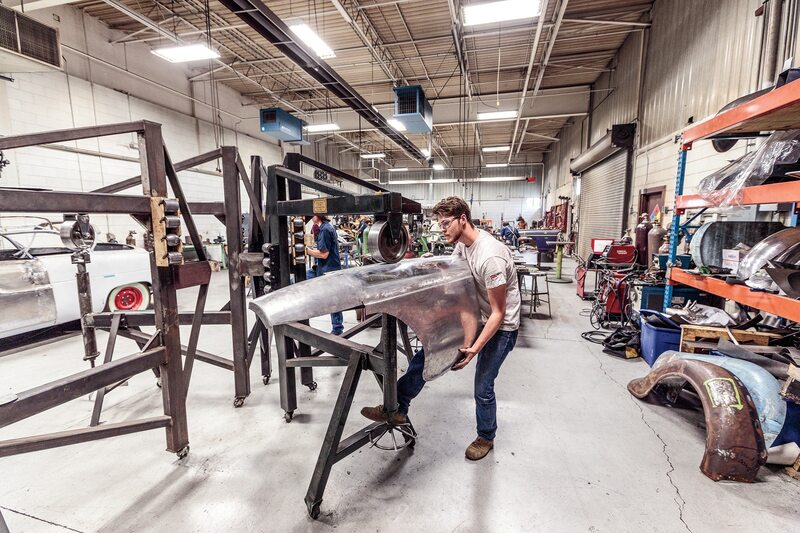 One student lectured on the legacy of the Duesenberg brothers while others recounted their experience hand-building new panels for a collision-damaged Camaro. 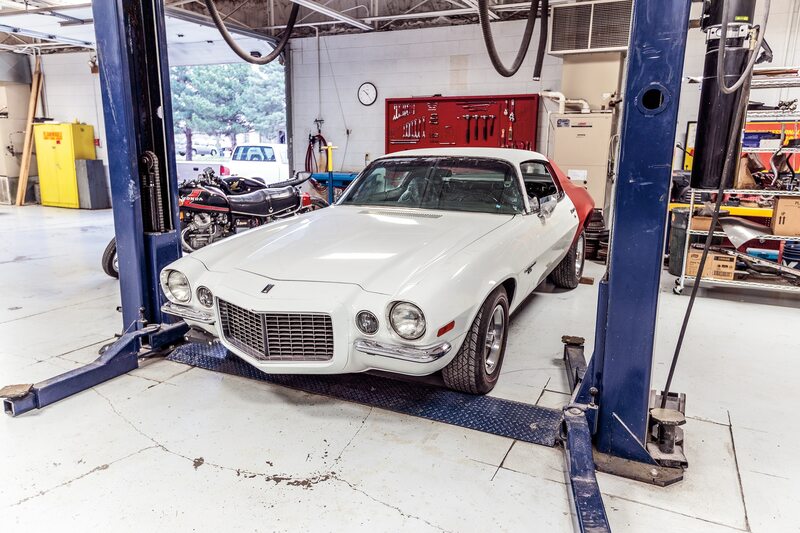 The auto restoration program at McPherson began in 1976 when local businessman Gaines “Smokey” Billue donated his 125-car collection to the school in the hopes it could raise the next generation of automotive restorers. 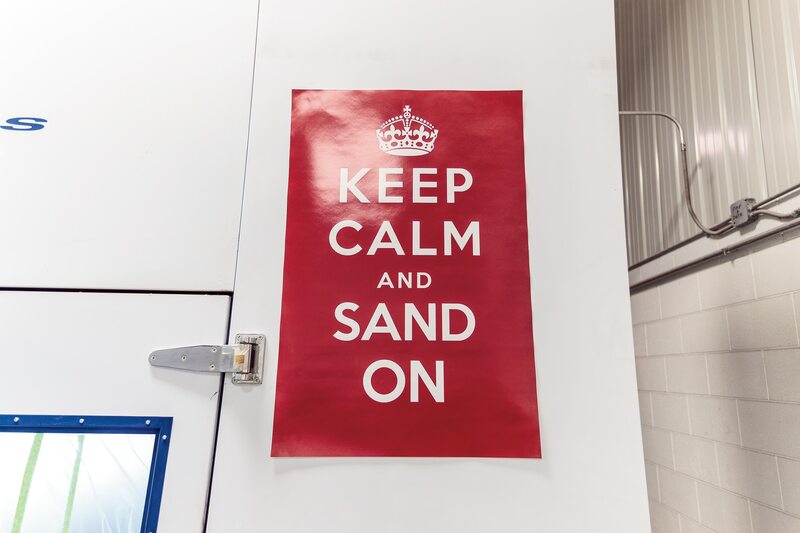 Initially established as a two-year program, McPherson has used grants and donations from Mercedes to expand the program to four years (in 2003) and from the likes of Jay Leno to fund scholarships. 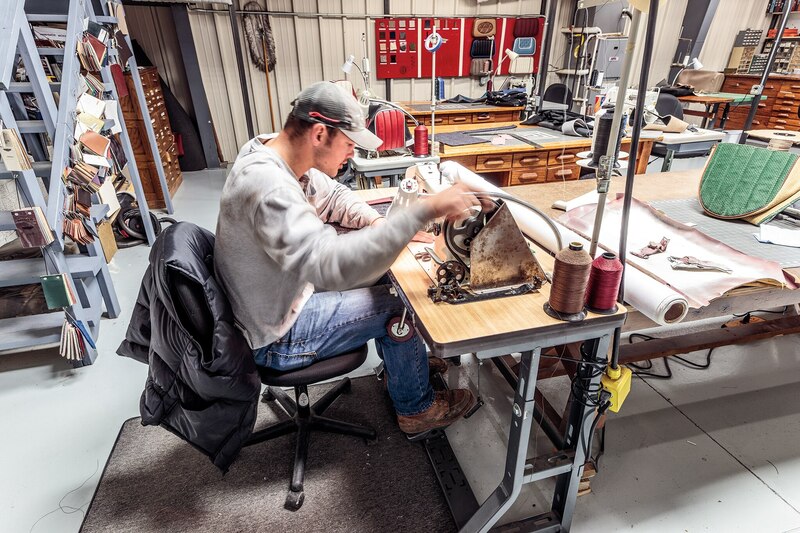 Today, McPherson says it offers the only bachelor’s degree in automotive restoration, with concentrations in restoration technology, management, communications, history, and design. 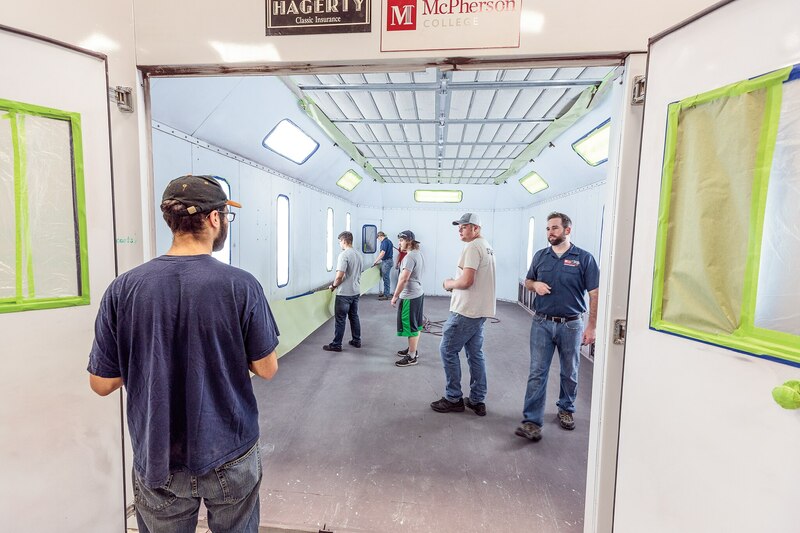 What separates McPherson’s auto restoration curriculum from a tech school? 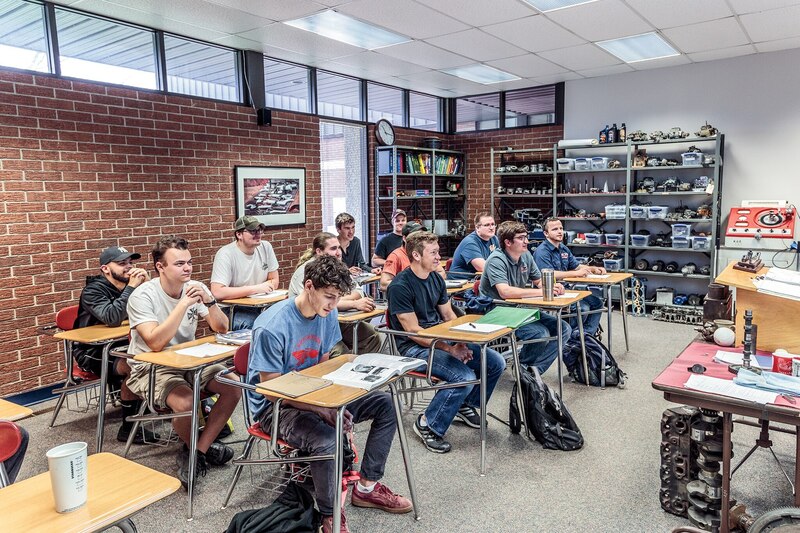 The inclusion of a full raft of liberal arts courses is a major component, but what really stands out is the enthusiasm and respect shown for automotive history. The program concentrates on cars built before 1970, and a surprising number of students have developed a passion for cars as far back as the brass era. Technical schools tend to concentrate on modern repair methods; McPherson, however, teaches the techniques needed to work on older vehicles. Students in the basic engine rebuilding course overhaul a small-block Chevrolet V-8. “You can learn all the fundamentals on that engine,” Curt Goodwin, an engine professor, says. In the advanced class, they move on to the Model A engine, which Goodwin calls “the small-block Chevy of the past.” McPherson also offers a class on Babbitt bearings, which are used on antique engines and are poured as molten metal directly into the block. McPherson delves not only into the history of the automobile but also the history of the processes used to build it. 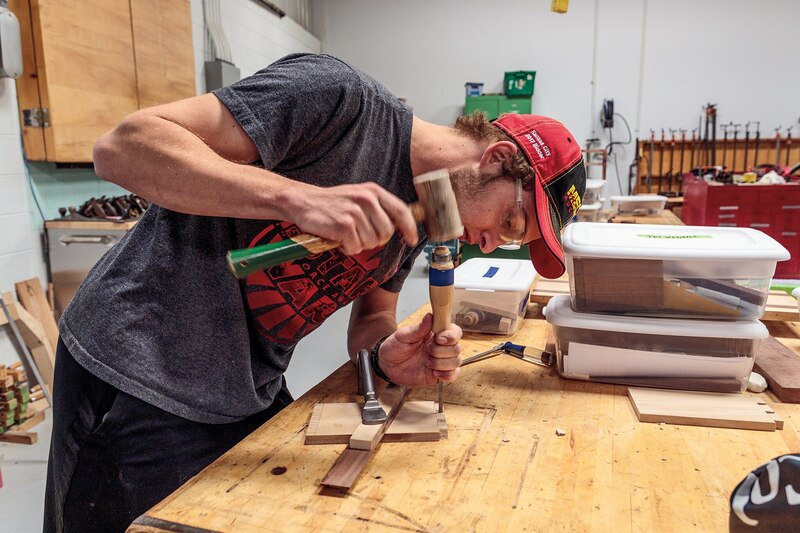 Woodworking students start off by hand-building a mallet from blocks of wood. Basic machining classes use World War II-surplus South Bend lathes from Boeing’s Wichita factory; sheetmetal students form 3-D teardrops from flat metal. “I like to expose them to the work in the chronological way it was done from the beginning,” sheetmetal professor Ed Barr says. “Before power hammers, [metal workers] were creating crown panels on flat, clean pieces of steel, banging the metal into shot bags or stumps. So our first shaping exercise is in that mode. Although many of the students who come to McPherson’s Auto Restoration program are lifelong gearheads, most are inexperienced in some aspects of auto restoration, and a few have no car experience. 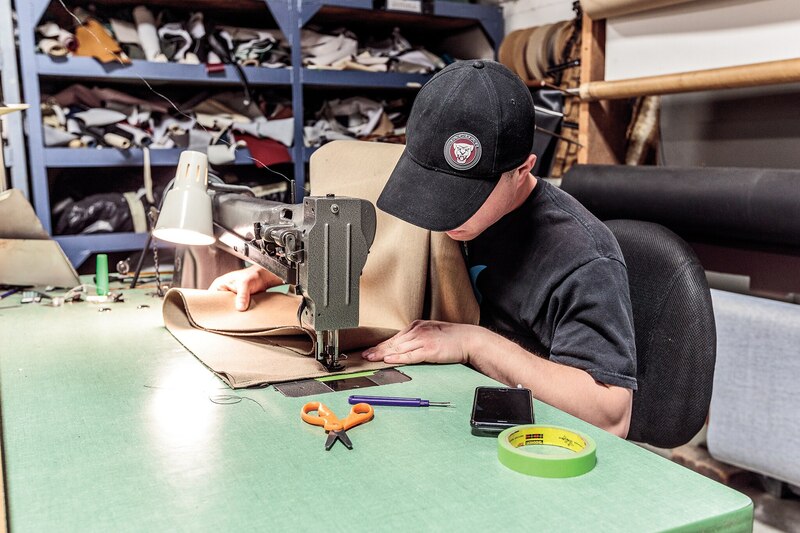 Although the program aims to give them a broad base of skills, students often find themselves specializing in areas they initially had no interest in. 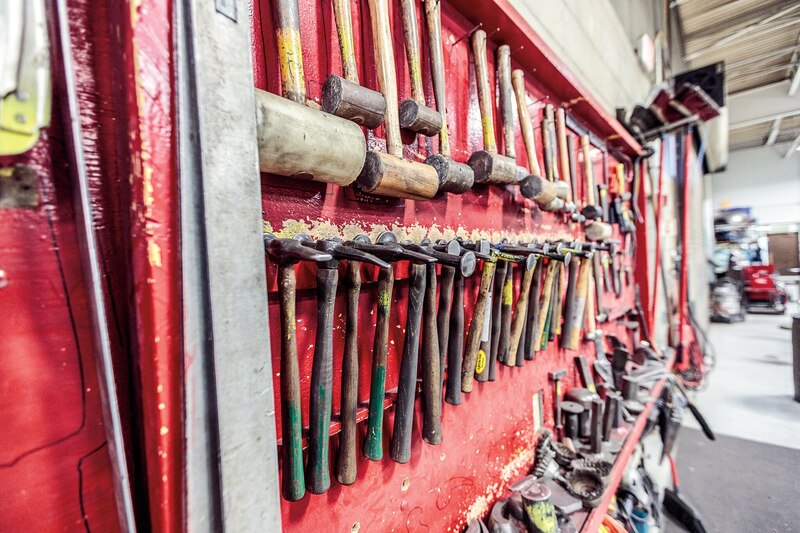 Using hand tools, students at McPherson College learn period-correct methods of restoration and repair. For some students, forays into a new topic are the pathways to a career. Senior Tim Kortebein served an internship at the Mercedes-Benz Classic Center in Irvine, California, and has since been offered a job after graduation. “I never had any experience [with interior trim] in the past,” he says. “I came in here with mechanical experience and figured I might want to build engines. 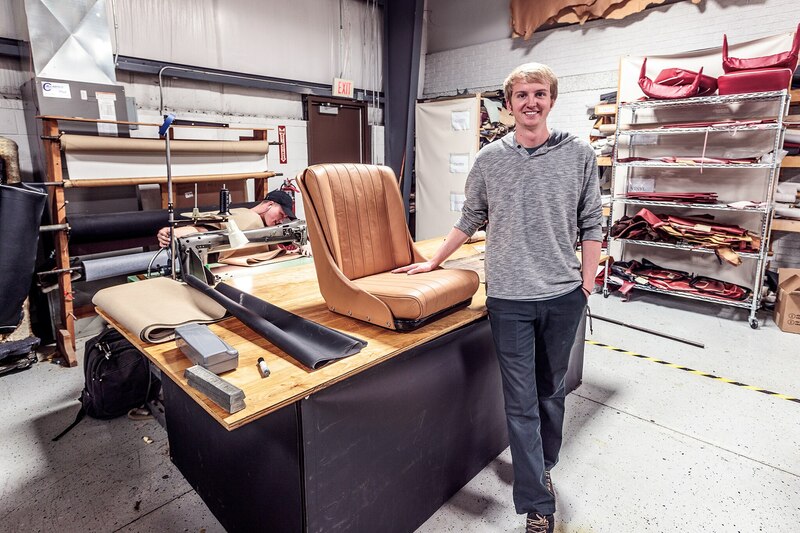 I had no idea that I would want to do upholstery.” As part of his internship, Kortebein restored a large portion of the interior of a Gullwing, including both front seats. This year, his interior—along with the rest of the car—will go to Pebble Beach. The Mercedes-Benz Center has hired several McPherson graduates, as have the Petersen Automotive Museum in Los Angeles and Paul Russell and Company, a Massachusetts restoration house with a long list of The Quail, Pebble Beach, and Amelia Island winners to its name. Chris Hammond, a restoration technician who specializes in electrical systems for Paul Russell, graduated from McPherson in 2003. In many cases, they already have.